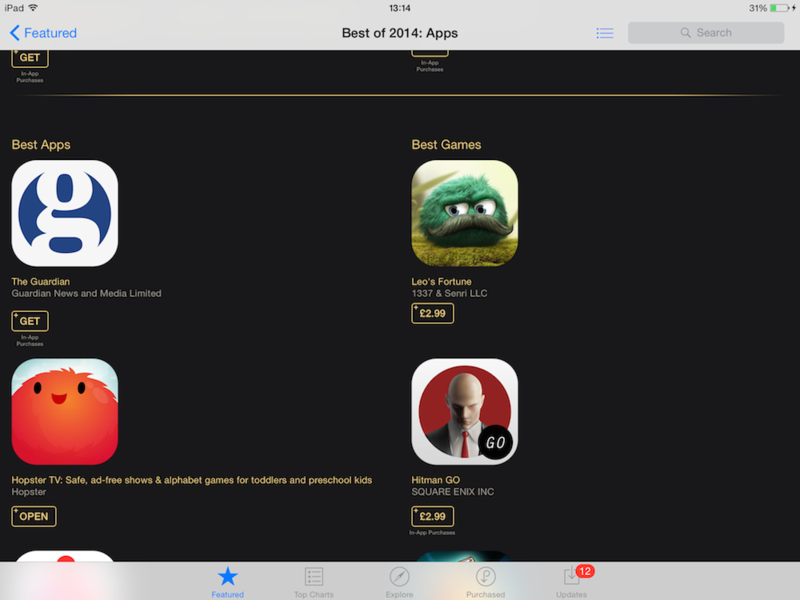 Hopster is in the App Store Best of 2014!!! Can you tell how excited we are by the three exclamation marks in the title?! HAPPY MONDAY! 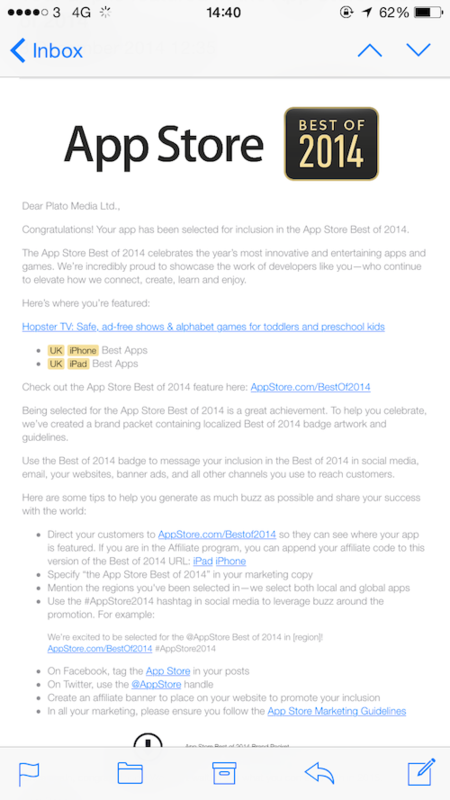 We just received notice that we’ve been selected as one of the Best Apps of 2014 in the UK by Apple. Thank you Apple for recognising our hard work this year, and thank you to all the Hopster families out there. You’re the best! We only just celebrated our first birthday last week on Friday, and we could not have asked for a better start into the week than being included in this prestigious selection alongside greats such as Monument Valley, Airbnb, Peak Brain Training, Citymapper, and Threes. Big shoutout also to our friends at Hip Hop Hen, World of Warriors, Star Walk Kids, and Toca Boca! At the same time as the news of our feature dropped, we’ve also received the green light on our latest, and most breathtaking update to Hopster yet. Keep an eye out on your notifications or check our App Store page – you won’t want to miss what we’ve built for your little ones for the winter. We know the year is far from over and have plenty planned for the remainder of December to make Hopster the best place for preschoolers to watch, play, and grow. Keep your eyes peeled and as always, comments, thoughts, and questions are always welcome – find us on Facebook or ping us an email. And now, please excuse us while we fetch some tissues to wipe away the tears of joy.